In order to assist people an organizations in connecting with their highest vision, Edye is developing a series of games that can be played as solitaire, with family, friends or at conferences – games of connection and meaningful pursuit! Click now to purchase and we’ll send you an email with a link of a PDF of the first Quick Play Version of the game to help you get clear on your top passions. It can be played as a game of solitaire or in pairs. We’ll also send you an e-book version of Edye’s chapter in “Mastering the Art of Success” and we’ll let you know when the next version of the game is available. 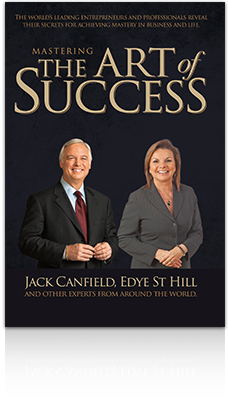 Sign-up for our mailing list to be notified when ‘Mastering The Art Of Success’ is available for purchase. We’ll also notify you when Edye’s game Passion Clarity is available for purchase to help you get clear on your passions. Get acces to Edye St Hill’s chapter from ‘Mastering The Art Of Success’ and start getting clear on your passions today. All we ask in exchange is your email address.